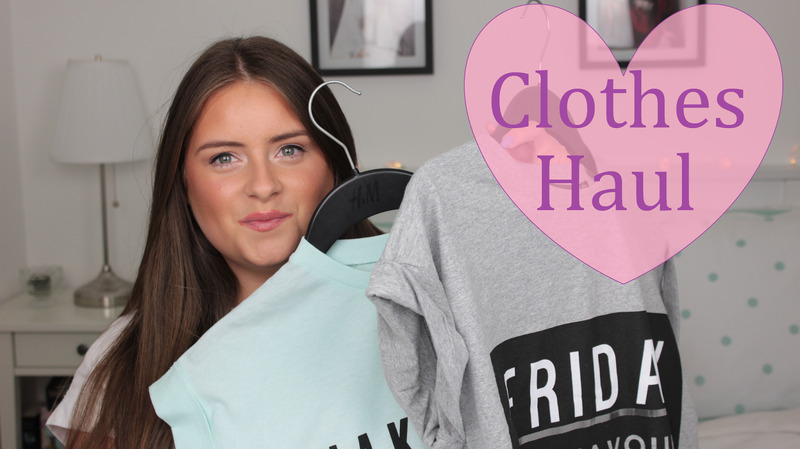 "Friday is My Favourite F Word"
I thought I would kick off my new year blogging with a little clothing haul. Summer is nearly upon us (already!) so I wanted to get a few new tops that will see me through the Summer-time (and beyond!). I love adding staple pieces to my wardrobe as I know I'll get a lot of use out of them for many different occasions. I have been in total love with Tees at the moment, especially with boxed or grunge short sleeves. So I picked up these 2 with great slogans which I know will be on repeat throughout the Summer. I got the white tee (with the thin black lines) as I'm still looking for the perfect trench which I think will look amazing with. I have this outfit-image in my head of how it would look with the trench. Right? These have been my most worn piece in my closet ever!